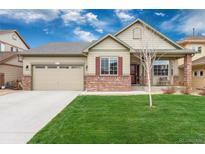 Find Centennial, CO Homes for sale. View Photos, Maps and MLS Data Now! Within close proximity to The Streets of Southglenn, Light Rail, DTC, Park Meadows, and superb hiking and biking trails. MLS#7636925. LIV Sotheby's International Realty. Foxridge - Close to DTC, Park Meadows, Shopping & Restaurants! MLS#6538352. RE/MAX Professionals. Easy to add a 4th legal bedroom suite (with additional rough-in in basement) if desired! MLS#5608441. Kentwood Real Estate Cherry Creek. This home is within walking distance to Willow Creek Park, Multiple Trailheads, Willow Creek Shopping Center and a short drive to popular restaurants and shopping at Park Meadows Mall. MLS#4223908. LIV Sotheby's International Realty. Nob Hill - All Of Your Vehicles And Toys Will Have Their Own Home In The Oversized 1 Car Garage, 2 Car Carport, Or Additional Rv Parking & Huge Storage Shed. Welcome Home MLS#7230872. RE/MAX Professionals. Quiet, secluded backyard for relaxing on Summer evenings. MLS#1548323. RE/MAX Alliance. 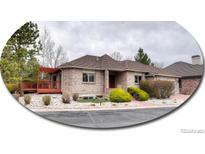 Close to Cherry Hills Marketplace, dining & shopping. Top-rated Littleton schools. MLS#4842389. The Steller Group, Inc. The Hills At Piney Creek - Sellers are willing to give a deck allowance at time of closing. MLS#8209697. Bursey & Associates, Inc.. Beautifully Updated 4 Bedroom, 3 Bath Home on Cul-de-sac in Ridgeview Hills, Beautiful Hardwood Floors on Main with New Paint Inside and Out, Double Pane Windows, Kitchen Features-New Wood Cabinets with Quartz Counter Tops and Stainless Steel Appliances, Kitchen Opens up to Family Room with Cozy Wood Burning Fireplace, Master Bedroom has Updated Master Bath with Designer Tile and other 2 Baths have Been Updated with Beautiful Designer Tile as Well, Basement has New Carpet and Wet Bar, New Egress in Basement Bedroom and Extra Room in Basement that Can be Used as Craft Room or Study, Big Back Yard, Central Air, and So Much More! MLS#7261640. JDI INVESTMENTS. Ridgeview Hills North - All this plus an amazing location - close to DTC, parks, Highline Canal & Southglenn MLS#7197718. RE/MAX Leaders. This home is super cute and very clean, it's move in ready and will not disappoint! MLS#9468050. Prowant and Company. Ridgeview Hills North - This home is ready to go and offers a quick closing to potential buyers. MLS#2750097. LIV Sotheby's International Realty. Chapparal - Must see 3D tour-https://rem.ax/2XxRNVS Seller is willing to accept Cryptocurrency as payment. MLS#9204164. RE/MAX Unlimited Inc. Walk to shopping, restaurants, Centennial Center Park and Cherry Creek State Park. MLS#8591075. Richmond Realty Inc.
Appliances and fixtures have been updated throughout the home, and it is ready for you to move in! MLS#9609729. BSW Real Estate, LLC. Cherrywood Village - You won't want to miss this one! MLS#8671799. HomeSmart Realty Group of Colorado. Covered patio and walled front entry.. A perfect location in Dream House Acres; walk to elementary school, close to DeKoevend Park, Highline Canal Trail, Streets of Southglenn and Cherry Hills Marketplace shopping, dining and services. Minutes to RTD transportation. MLS#6757303. LIV Sotheby's International Realty. Park View Ridge - *beautifully Pampered Spacious 2-story Home*4 Bed*4 Bath*fully Finished Basement Is Like An Apartment*vaulted Ceilings*plush Carpets*double Bay Windows*large Master W/ 5 Piece Bath*soaker Tub*brick Wood Burning Fireplace*laminate Wood Flooring*outdoor Pond*mature Landscaping*new Cedar Fencing*security*sprinkler*20'X14' Rear Deck*natural Gas For Outdoor Grilling*double Door Entery*covered Proch*breakfast Bar*large Kitchen*stainless Steel All Appliances Included*open Flowing Floor Plan*4 Sky-lights*community Pool*washer/Dryer*a/C*cherry Creek Schools*2 Car*covered Front Porch MLS#2416390. Landed Properties. Finally, the finished basement includes 2 bedrooms, rec/office room, and an updated 3/4 bath .From the quaint covered front porch to the 3-car garage,you will not be disappointed. MLS#8735959. Integrity Realty. Residents of Foxridge enjoy the award winning education of Cherry Creek School district and the option to access the robust community Swim and Racquet Club. MLS#2905362. Redfin Corporation. Easy commute to DTC, I-25 and C470. MLS#2383552. Colorado Home Realty. Smoky Hill Village - Large fenced in backyard, finished basement with kitchenette. This won't last long. MLS#9888782. RE/MAX Professionals. Free-standing Tub & Frameless Walk-in Shower*three Secondary Upper Bedrooms, Two Full Updated Baths*laundry Room W/ Storage & Sink*sprawling Back Deck Overlooking Huge Yard W/ Garden Area~perfect For Entertaining Inside & Out*2000+ Sf Unfinished Walkout Basement Waiting For You*award Winning Cherry Creek Schools*easy Proximity To All Transportation, 470, 125, 170, Dtc, Buckley Afb, Dia, Golfing, Hiking, Biking, Reservoirs, Southlands Upscale Shopping, Dining & More! MLS#8355602. eXp Realty, LLC. Piney Creek Village - Convenient to DTC, Cherry Creek State Park, Regis HS, And Shopping At Arapahoe Crossing. MLS#7413446. RE/MAX Masters Millennium. Foxridge West - Don’t miss a chance to tour. MLS#7182983. COLDWELL BANKER RESIDENTIAL 18. These statistics are updated daily from the RE colorado. For further analysis or to obtain statistics not shown below please call Highgarden Real Estate at 720-924-7403 and speak with one of our real estate consultants.